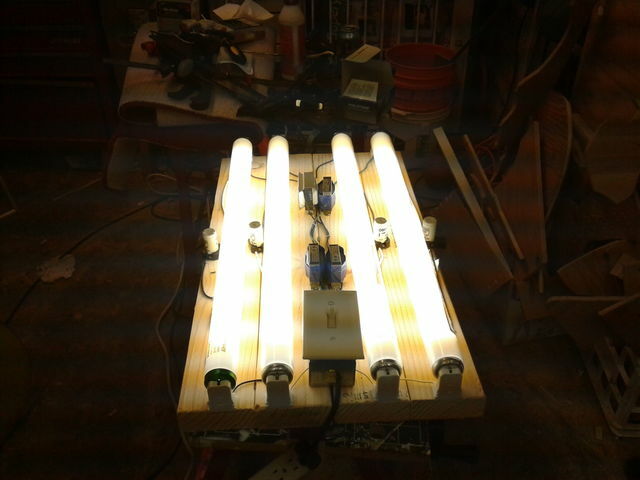 Here's a new fixture i just built, it's a 4 lamp F20T12 light fixture. The lamps are all brand new, 3 of them are GE covRguard cool white [made in the US] i got from the restore for a 1.25 each. The last lamp is a Philips Alto cool white i got for free. The starters are all Osram FS-2 [made in china]. The switch on the metal box is to switch between 2 lamp and 4 lamp mode. This is the fixture at full power.